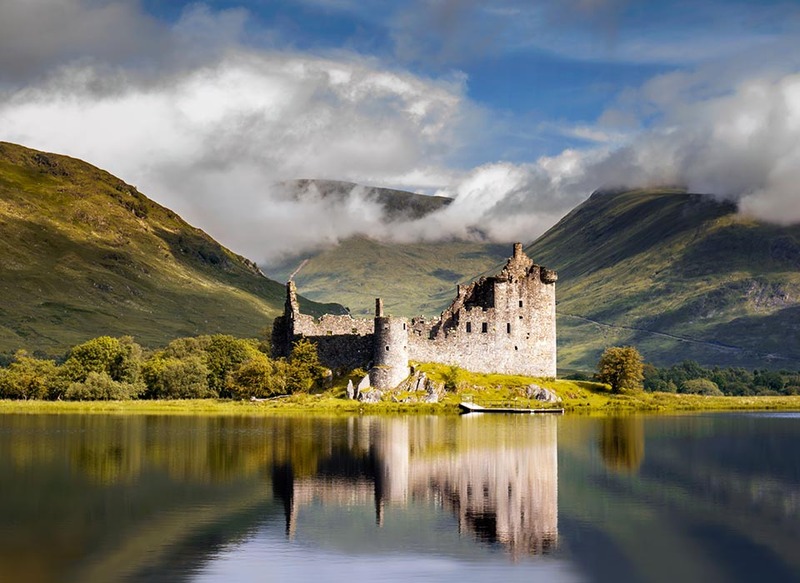 Argyll & Bute spans from the Scottish mainland across a number of islands to the west, each with their own character. 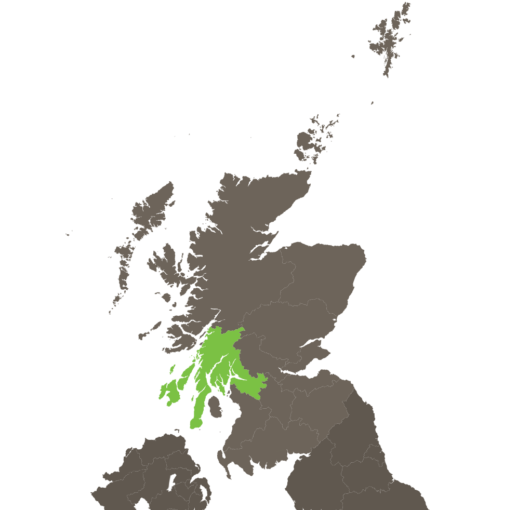 The area is synonymous with the Argyll pattern, which derived from the tartan of the Clan Campbell. 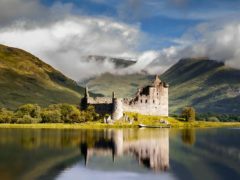 Argyll & Bute covers an area of Scotland’s mainland to the west of Loch Lomond and The Trossachs National Park, as well as many nearby islands, including Colonsay, Islay, Jura, and Bute. Colonsay is a small island, inhabited by around 125 residents. The Isle of Islay is known as the ‘Queen of the Hebrides’, and its location makes it the ideal place for its eight whisky distilleries. 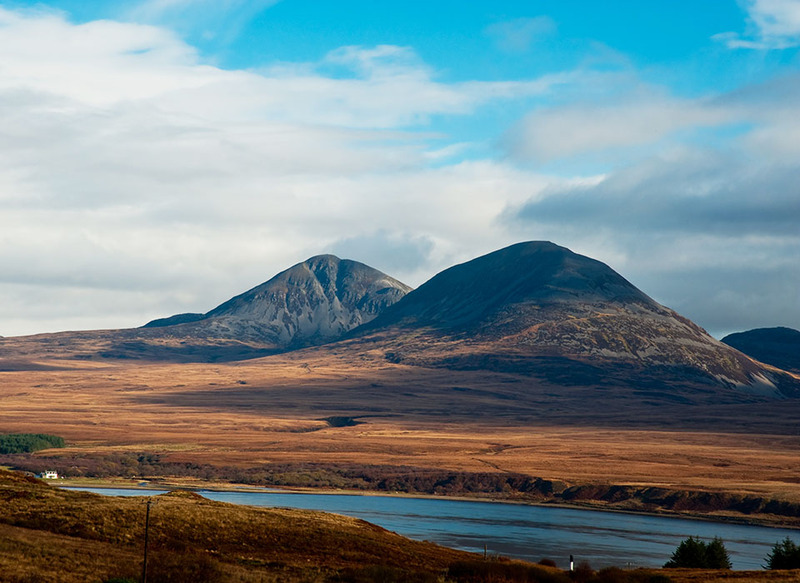 The Isle of Jura is known for its wildlife, particularly wild red deer. In fact, there are more deer on this island than there are humans. 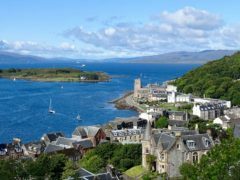 The Isle of Bute is an ideal destination for exploring the outdoors through walking, cycling, or fishing. Each of the islands in the Argyll & Bute area has its own history. One of the best ways to discover this history is to visit the many museums and historical sites. Inveraray Jail in Argyll provides an insight into the punishments that were used before the concept of legal courts was properly introduced. Kilmartin Museum explores the prehistoric landscape of Kilmartin Glen, including stone circles, standing stones, and ancient monuments. Literary fans will be interested to learn that author George Orwell lived on the Island of Jura, where he completed his book ‘1984’ in Barnhill, a farmhouse in a remote area of the island. 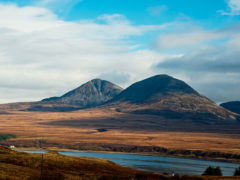 Argyll & Bute, like many regions in Scotland, has a variety of beautiful natural landscapes to explore. Benmore Botanic Garden is a mountainside garden with spectacular views. The entrance is particularly breathtaking, as you walk through an avenue of giant redwood trees that are over 150 years old. Other highlights include Glenarn Gardens, known for its collection of rare rhododendrons, and Gelnfinart Walled Garden, a kitchen garden that consists of five areas including a beautiful orchard. Argyll & Bute is home to many art galleries and specialist craft centres, including the Blairmore Gallery, with its mixture of affordable Scottish art and handmade crafts, and the Fynewood Gallery in Dunoon, specialising in woodcraft. For those who enjoy being active, the landscape provides plenty of opportunities, including kayaking, diving, and cycling. There are also many golf courses in the area including Rothesay Golf Club, Carradale Golf Course, and Bute Golf Club. Those wanting to learn something new or expand their existing knowledge can visit one of the educational attractions, such as the Ocean Explorer Centre or the Oban War & Peace Museum. 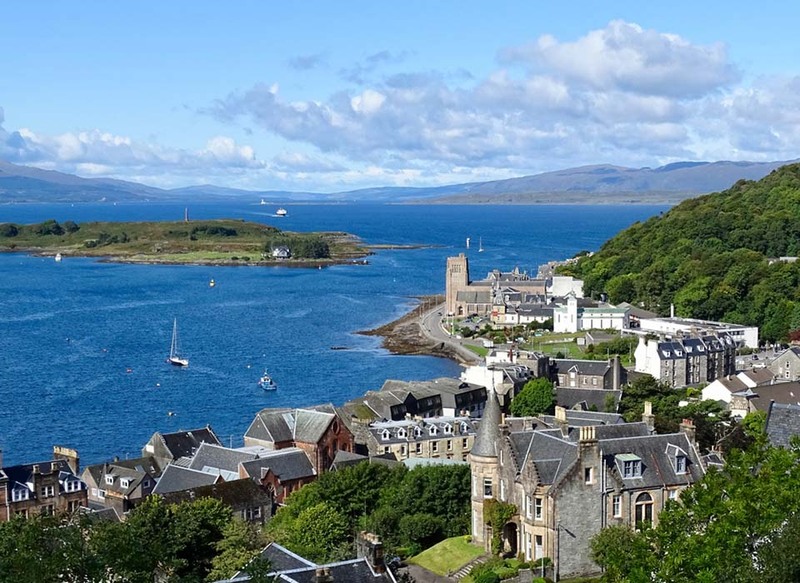 Argyll & Bute can be accessed via plane, with airports in several areas including Oban, Islay, and Campbelltown. Alternatively, those wishing to explore the islands can catch a ferry to one of the many ports. Travel within the area can be via train, bus, or car, with the A83 and the A816 providing useful routes.